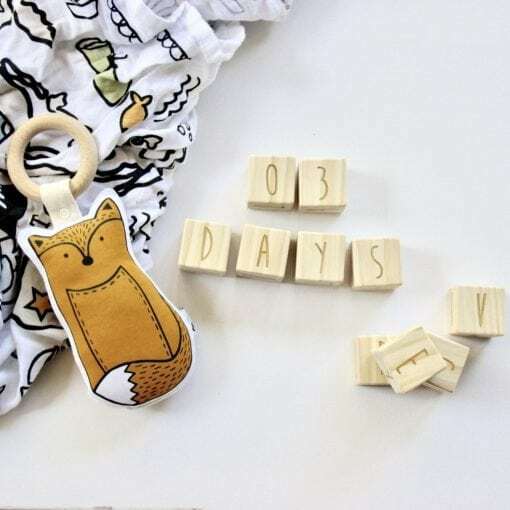 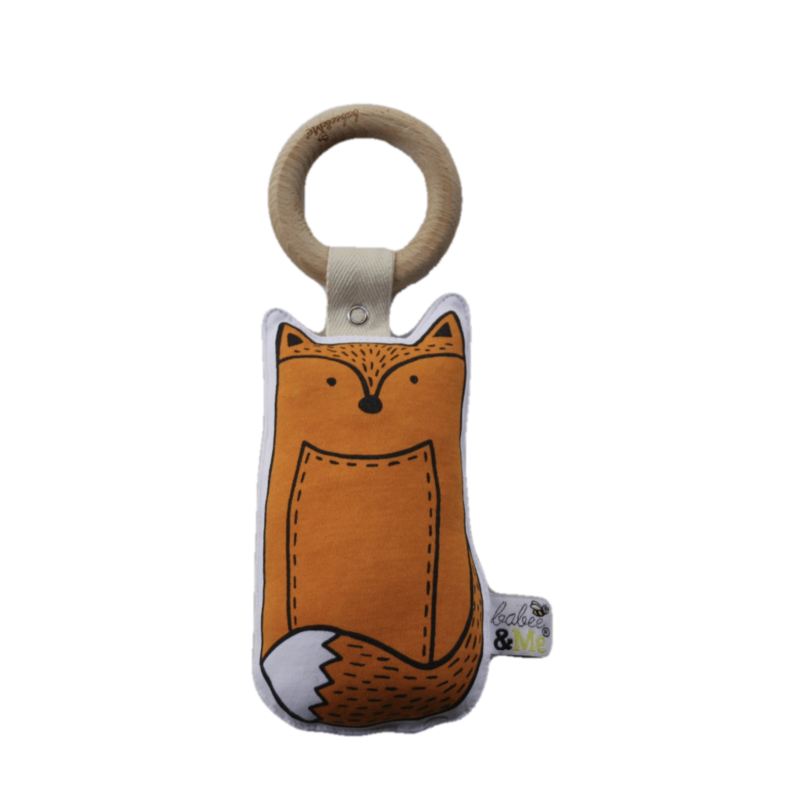 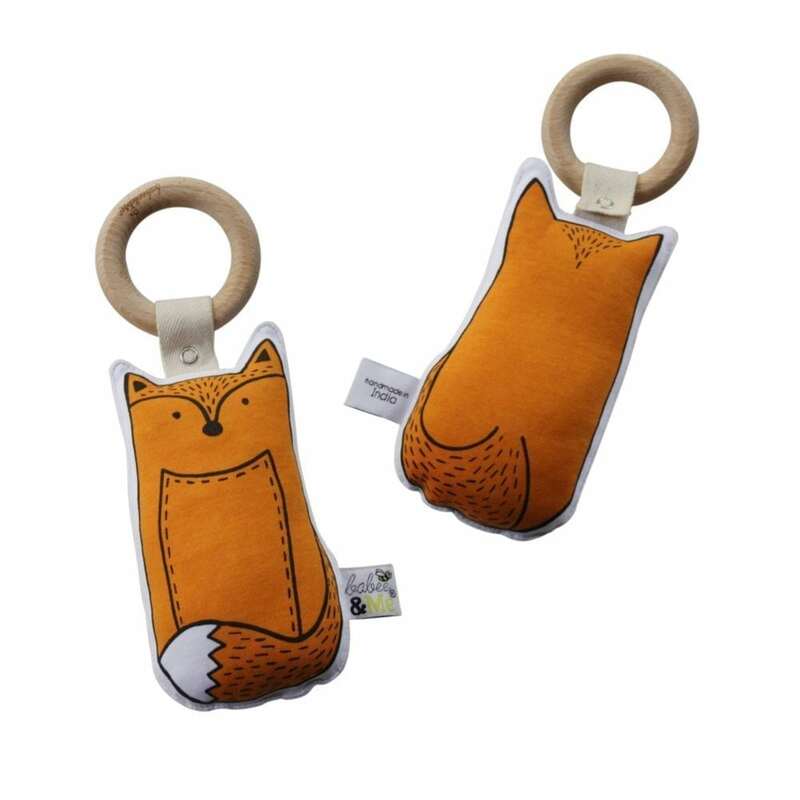 Beautiful GOTS certified organic Fox Teething Toy. 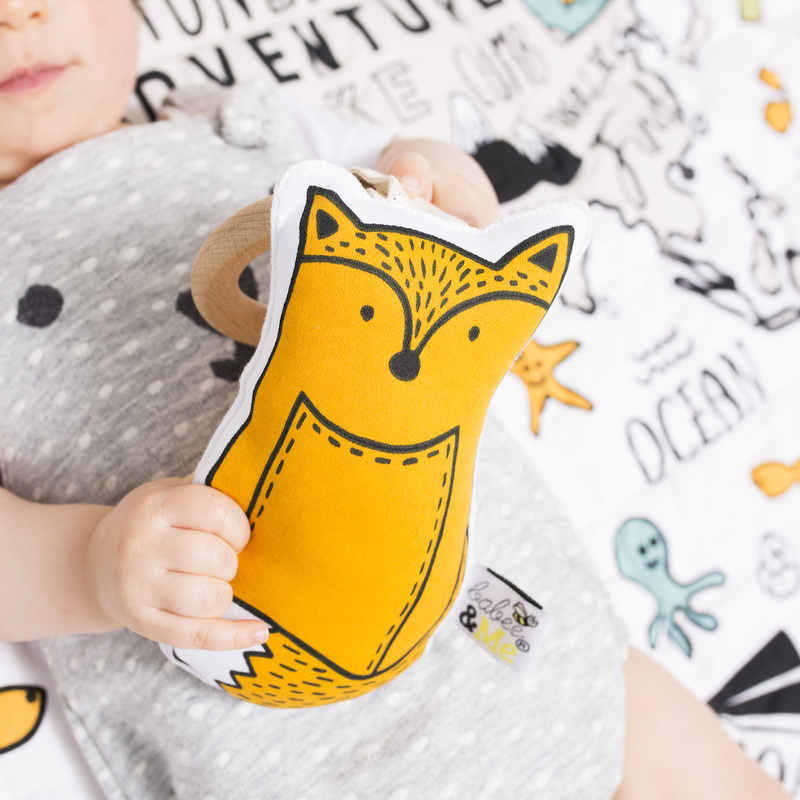 Fox has a design printed on both sides – a unique front and back making them realistic and even more unique! 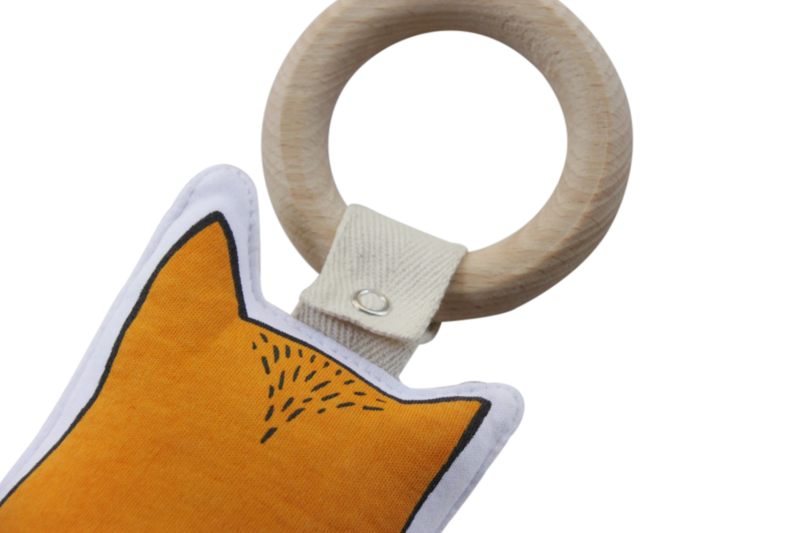 How cute – see the bushy tail? 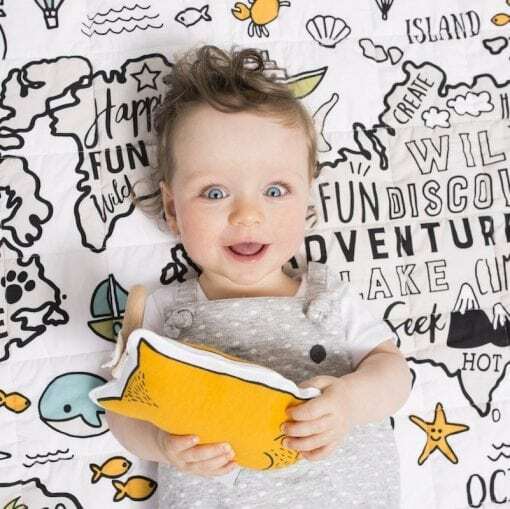 Gender neutral in colour it features bold design which is proven to be best for young babies and their developing eye sight and in a monochrome colour scheme filled with a realistic orange colour. 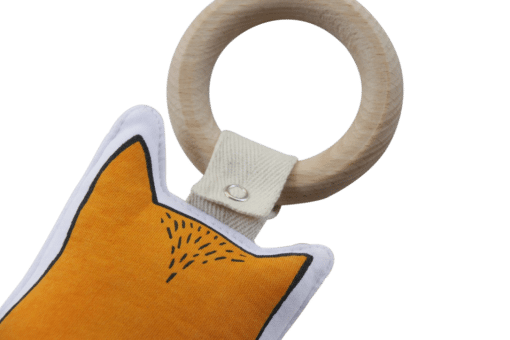 Quality product with a gorgeous design. 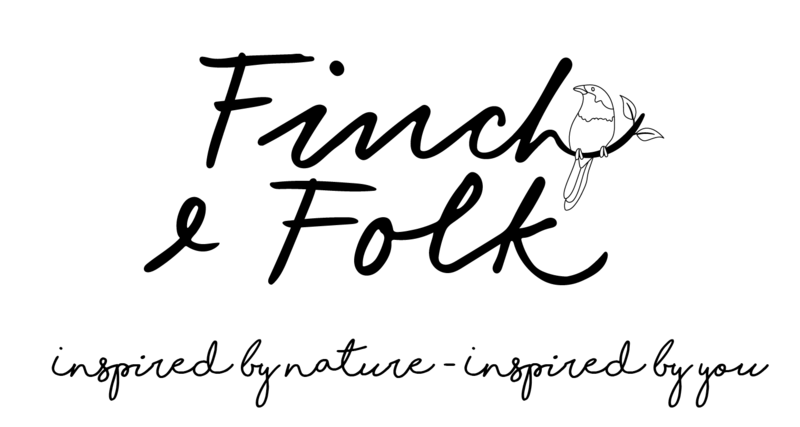 My order arrived super quick! 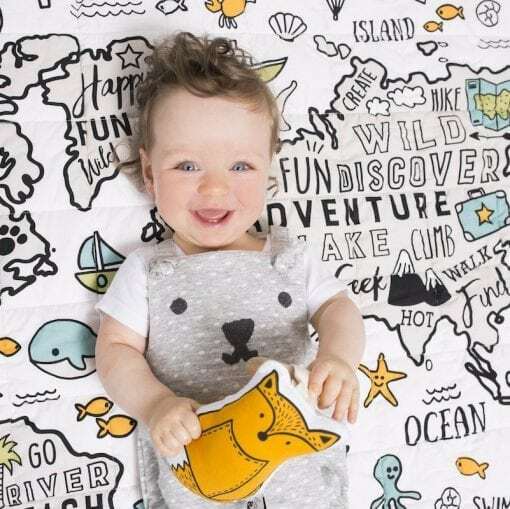 Great place to shop online for baby items & gifts. 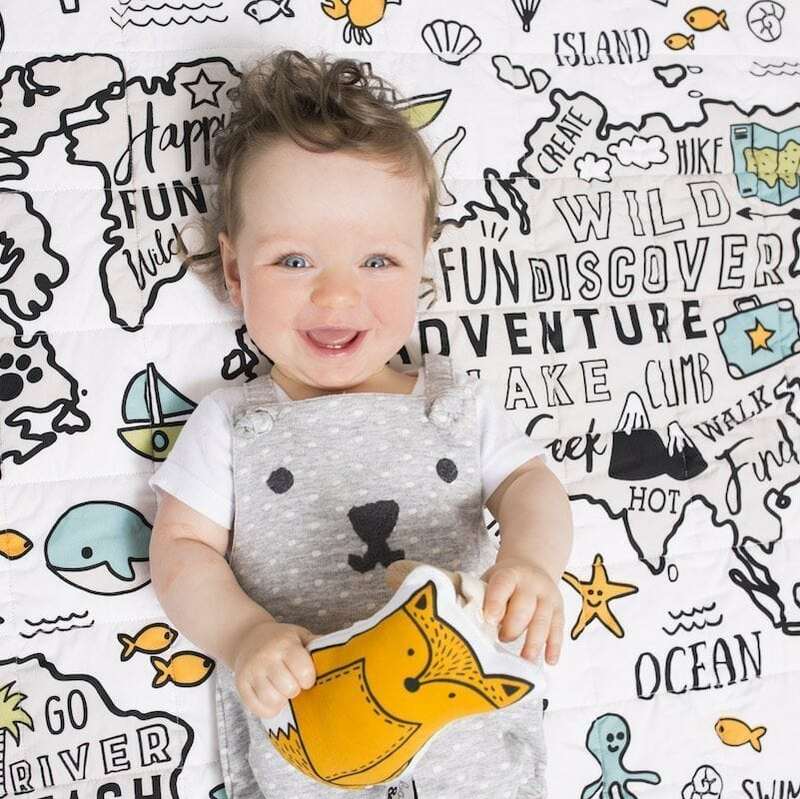 Purchased this for a baby shower and our friends were over the moon!